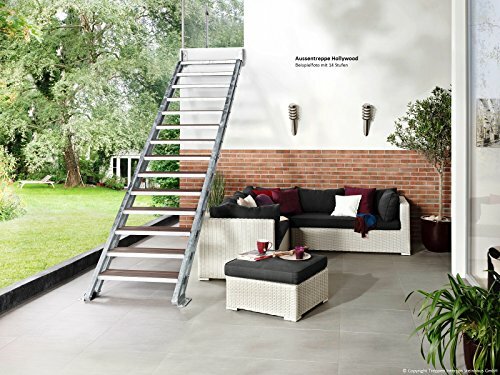 Hollywood Fire galvanised steel string steps with high-quality, WPC steps with wood effect. Exterior steps from 4 steps up to max. 14 steps; Heights from 72 - 330 cm. Variable adjustable tilt angle for precisely adjustable height. 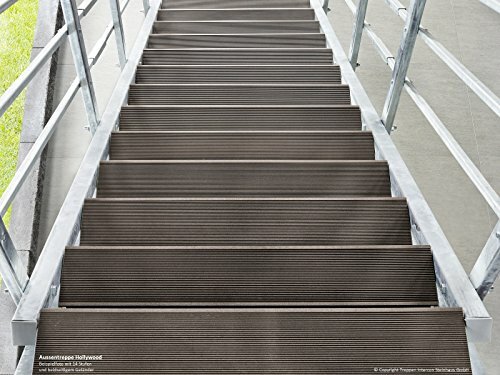 High running comfort due to 80 cm wide steps, step depth 22 cm. 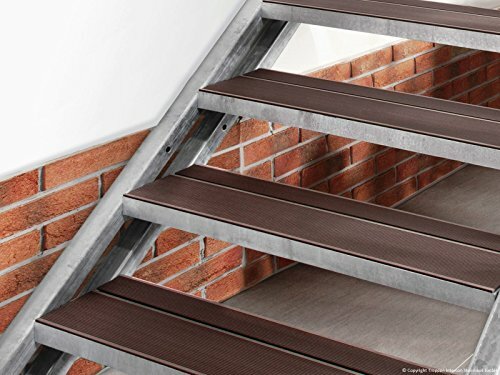 Steps are supplied without rail.